Please call our cruise consultants on (612) 8296 7354 to book over the phone & pay by credit card. * Indicative menu only. Items may be subject to change at any time without notice. On board Magistic Cruises, we provide a buffet with a selection of dishes for our lunch and dinner cruises, hence we do not take special dietary requests. All dishes are labelled on the buffet for the guests to make an informed decision. We urge guests to make an appropriate choice from the dishes that are available and suited to their personal dietary requirements. 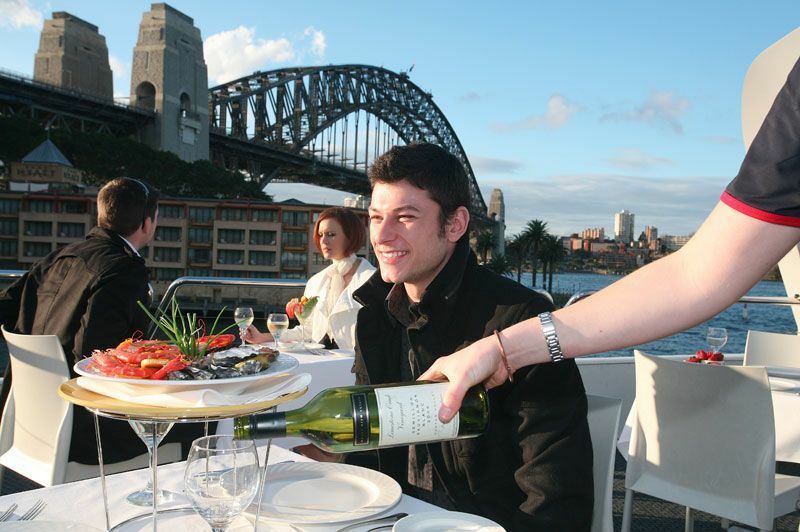 EXPERIENCE THE REAL SPIRIT OF AUSTRALIA DAY WITH SYDNEY HARBOUR'S FAVOURITE MAGISTIC CRUISES. Come and celebrate the joy of being an Australian on Sydney Harbour! This is the day the whole country comes together to celebrate its distinctive sense of Australian identity and savour the unique heritage and culture. 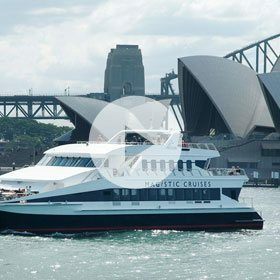 View the spectacular Ferrython and First Fleet ferries fight their way to the finish line on Australia Day onboard the spacious deck of Magistic. Our Australia Day Cruises gives you a prime access to the Harbour Parade, Tri-Service 21 Gun Salute and the Tug & Yacht Ballet. 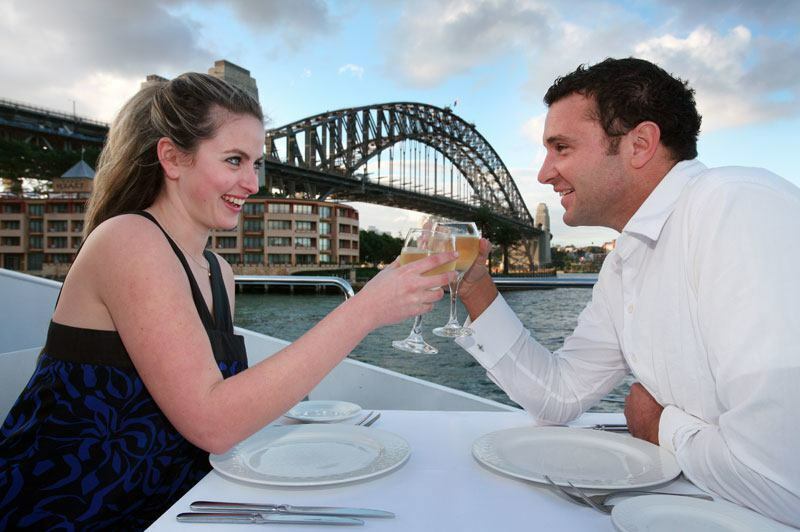 For a grand finale to the festivities, join the Magistic Australia day cruises! 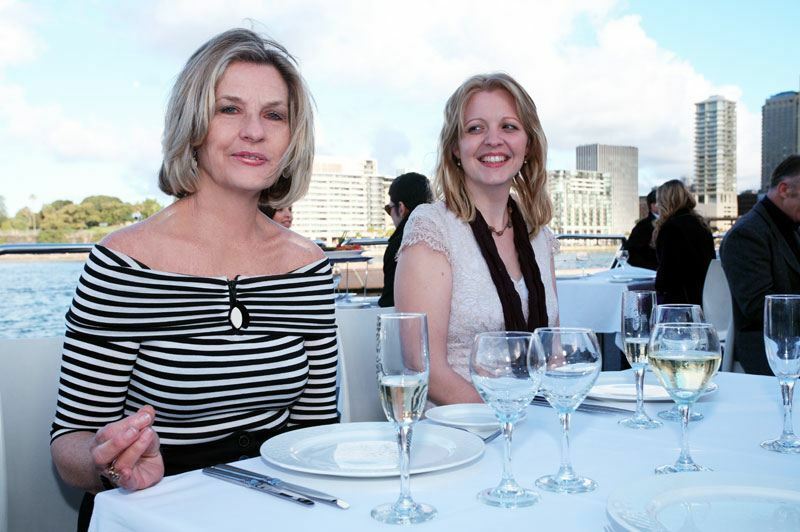 Beat the crowd and enjoy the Sydney harbour lunch in the comfort of our luxury vessel. 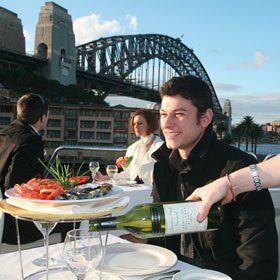 Follow this link for more information on Australia Day Cruises. All of our special event cruises are usually in high demand and fully booked prior to cruise date. The seating arrangements on board various cruises are planned by our Cruise Directors well in advance. If you have any special requests to be seated next to a particular group/friends booked on the same cruise, please advise us 7 days prior to cruise date. Beverage service for the duration of the cruise: Service begins from boarding (a selection of beer, wine & soft drinks) and stops 15 minutes prior to the end of cruise.
" Food excellent and abundant. Great quality . Vessel is lovely, clean, well maintained. crew manoeuvred vessel effectively throughout day. 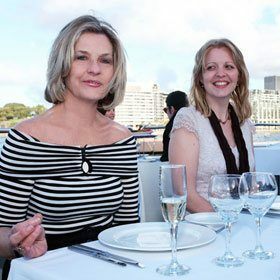 Would recommend to anyone "
" Cruising around the harbour on Australia Day is a great way to spend the day I would do it again my cousin was visiting from overseas and she really enjoyed it. " " We thought it seemed just a tad expensive in the beginning at $165 per head (full price - we booked late).However, it was not!! Food was excellent and plentiful, wines, etc were included and free -flowing. Loved the white table linen...made it feel special. Great Australia Day excursion. Thank You! We met people who were on their 4th Majistic adventure and we will now also be back. " " Shall continue to be with you while your booking service, courteous and friendly crew, facilities, menus and overall value for money remain at the high standard you provide. Well done to the entire crew. " 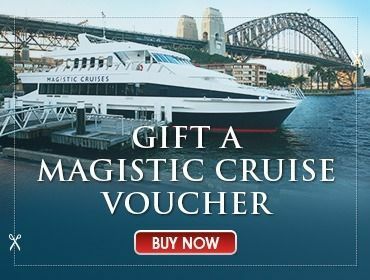 " We had a lovely Australia Day cruising on the Magistic. The boat is so nice to look at outside and inside and the staff so friendly and welcoming. We saw all the festivities on the harbor that were mentioned and felt like we were part of it all and took some great pictures. Apart from always wanting to cruise on the Magistic, the main reason I picked this cruise was that it had the best menu out of all of the cruises. I have been on a few different cruises, with very average food. " " We had a wonderful time on board the Majestic the captain was able to positioned perfectly through out the day so we could see all the events on the harbour. The staff were very helpful, the food was very nice even beter than last year. Only one complaint maybe a shade sail area on the top deck. Over all a great day was enjoyed by our group. " " We chose Magistic for Australian day because it’s the best. " 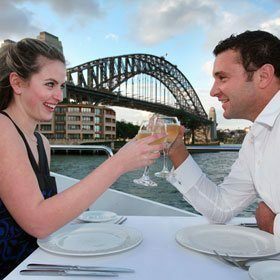 " Really enjoyed the cruise, excellent in every respect "
" We would certainly recommend this as a wonderful way to take in the Australia day festivities from a vantage point where you have plenty of space. I particularly appreciated the friendliness, food but also would like to mention that the spacing of the tables was such that we all had room to move around without disturbing others and not feel on top of others or hemmed in by others. Thanks to all"
" I cannot fault anything. We will continue with your Company while we're well and able." " Everyone in my group thoroughly enjoyed the cruise and will be back again next year. The service and food was outstanding. Sadly the Corona beer sold out early. Just a couple of thoughts if we could have a leaflet on the table advising what beverages were on offer to make it easier when ordering and while I know you can't have all different drinks on offer, maybe a cider. Also, if it wasn't too much trouble a leaflet advising what events were happening so we don't miss anything although I will be bringing an itinerary next year for my guests and myself. Will definitely be recommending again. Last year I had 4 guests, this year 8, so hopefully will have more next time. One other small thing we had to go looking for salt and pepper. " " Would recommend the cruise to friends and others. will be back next year. " " Great cruise , as on previous years, will be back in 2018 "
" Thank you. We had the best Australia Day ever. 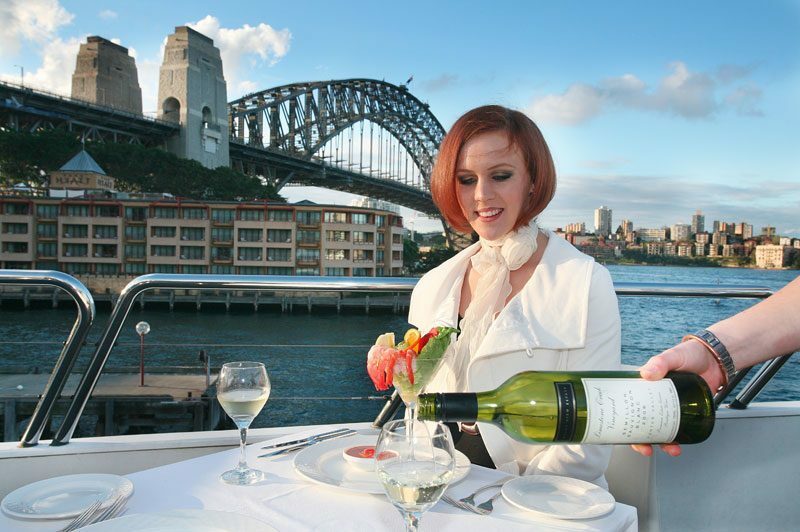 We were able to treat our overseas visitors to such a terrific experience which showcased Sydney at its best. " " All of the above choices. 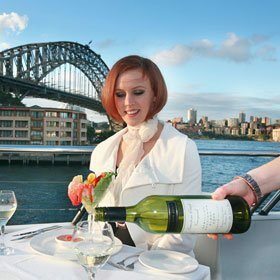 We fully recommend the Australian Cruise Group to friends and family for a wonderful relaxed atmosphere and professional attention Company and crew. " " We have been coming on the Australia Day cruise for the past 5 years or so?? This year the food was spectacular - we were very impressed with the serving of the entrees and desserts direct to the tables - it was delicious!!! A wonderful experience and we will be coming every year and telling our friends. Thanks you very much for a wonderful day - and the staff were very professional and friendly - nothing was too much trouble for them - WELL DONE "
Magistic Cruises commemorates the making of a great nation on 26 January with its luxurious 'Australia Day Cruise' that gives you ring-side seats to an amazing line-up of Sydney Harbour activities that inspire national pride. Why not celebrate the coming together of people and patriotic sentiment with a delightful four-hour cruise aboard a luxury catamaran and experience up close Australia’s nationalistic fervour? January 26 being a public holiday gives you the opportunity to indulge in the great outdoors and celebrate with the rest of the community. Sydney Harbour hosts some amazing events that include the great Ferrython, the Tall Ships race and aerial flyovers. All you have to do is head down to the harbour to revel in the spirit of being truly Australian! From the decks of the Magistic you get to see the flagging off and the culmination of the colourful Ferrython that pits four of Sydney's Ferries in a race against each other from Fort Denison to Harbour Bridge. It a brilliant sight to see these four brightly decorated First Fleet Ferries battling it out to be the first ferry that crosses the Harbour Bridge. And, there's no better viewing gallery than the decks of the Magistic to watch the Harbour Parade, as vessels of all shapes and sizes decorated with national colours and flags, cascade down the glistening waters. Yachts, boats, tall ships, barges, cranes, ferries and tour boats participate in the parade all dressed up, vying for the title of 'Best Dressed Vessel'. At noon, the Armed Forces call the shots to commemorate the Federation of Australia with a 21 Gun Salute near the north side of the Sydney Harbour Bridge. You can also join the synchronised choirs in singing the national anthem. As you enjoy your drinks and feast on a delectable meal, you can watch the Australian Army, Royal Australian Navy and Royal Australian Air Force pay tribute to Australia with a flamboyant ceremonial display. From the decks of the Magistic, you'll hear the Royal Australian Air Force Hawks before you see them coming. Treat your eyes to a Seahawk aerial handling display and an awe-inspiring aerial flyover by the RAAF Hornets that completes the Salute received by a host of dignitaries. The regal 'Tall Ships' of yesteryear race from Bradley's Head into Sydney Harbour reliving their historic journey in all pomp and splendour and finish with a flourish under the 'coat-hanger' in just an hour or so. In the evening, Darling Harbour transforms itself into a hub of activity as it hosts a concert followed by spectacular lights and music that bring Australia Day to an eventful end. Australia is what is today after climbing a mountain of trials and tribulations that resulted in all Australian States and Territories joining hands to celebrate Australia Day on January 26.What better way to commemorate that glorious day hundreds of years ago when Captain Arthur Phillip first touched base at Sydney Cove with the first fleet of 11 convict ships from Great Britain!